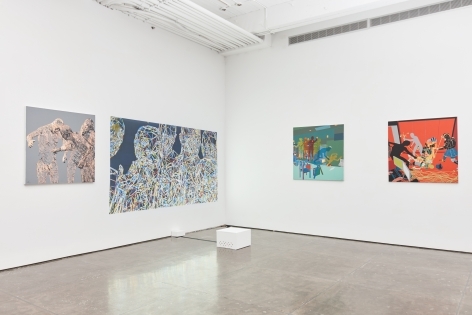 Klein Sun Gallery is pleased to announce Metamorphosis, the gallery’s first solo show by the influential Chinese new media artist Miao Xiaochun, on view from September 8 through October 8, 2016. As a student at Kunsthochschule Kassel in Germany, Miao Xiaochun was profoundly moved by William Kentridge’s works at Documenta in 1997 when the idea of working with animations occurred to him for the first time. 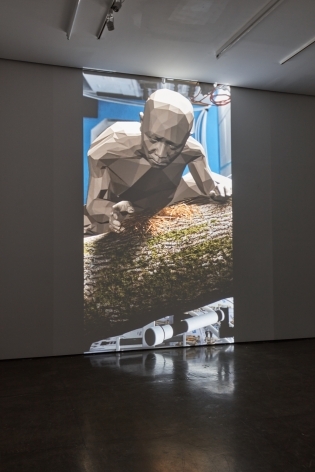 In 2004, Miao Xiaochun began to experiment with 3D software as an artistic medium, which led to the creation of The Last Judgment in Cyberspace, the artist’s first work exclusively created with 3D techniques. 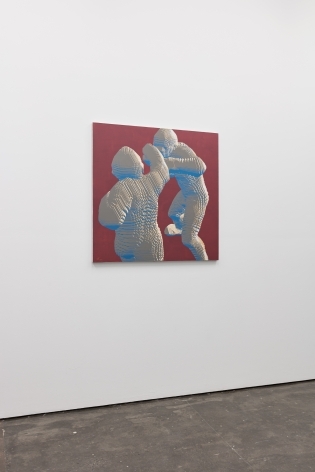 Since then, Miao Xiaochun has been delving into the transformative expression between 3D motions and paintings. 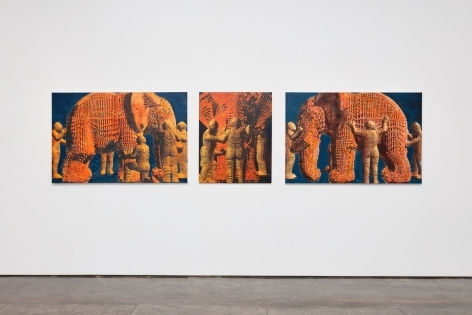 By altering oil paintings from the renaissance period, Miao Xiaochun has radically introduced 3D methods into his practice, reinterpreting the classic narratives presented in the masterpieces. In his previous work, The Triumph of Death, the artist references the painting by Pieter Brueegel in 1562, turning the panorama of war into a film set and filling the painting with virtual characters of himself. 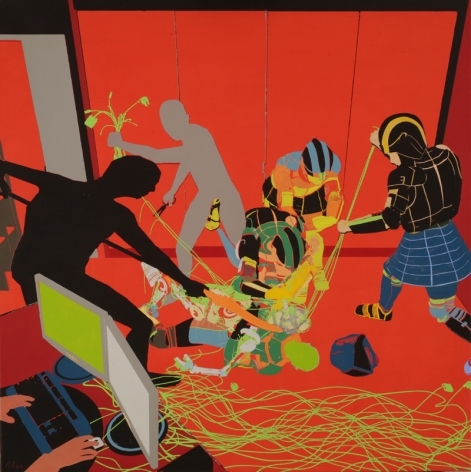 At the same time, inspired by Henri Matisse’s cut-out, Miao Xiaochun introduces the concept of “Computer Fauvism” into this work. Operating a cutting plotter and lettering paper, the artist gives the painting a wide spectrum of colors, creating a dazzling and glorious scene, and rewriting the theme of death in the original work. 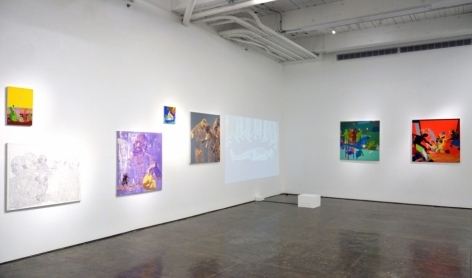 Works shown in the exhibition such as Zero Degree Doubt, embody the artist’s continuing attempt to reform the language in paintings. This work is based on Doubting Thomas, a classic piece of art, which depicts a skeptic who refuses to believe in resurrected Jesus until he could see the wounds. 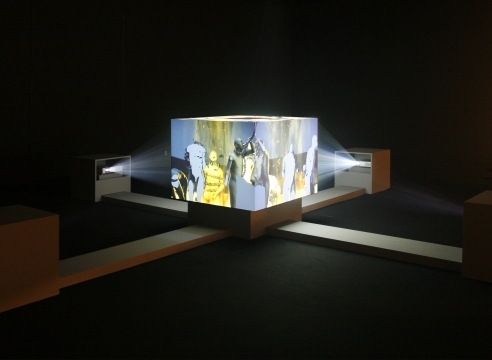 In this work, the artist replaces the characters with crystal virtual figures and transparent bodies. In the video, the moment the skeptic touches the suspect, the suspect’s body shatters instantly. Here Miao Xiaochun tests the notion of “faith” and “belief” in the context of modern society. The exhibition reflects the artist’s commitment to the new form of painting and his innovative artistic expression. 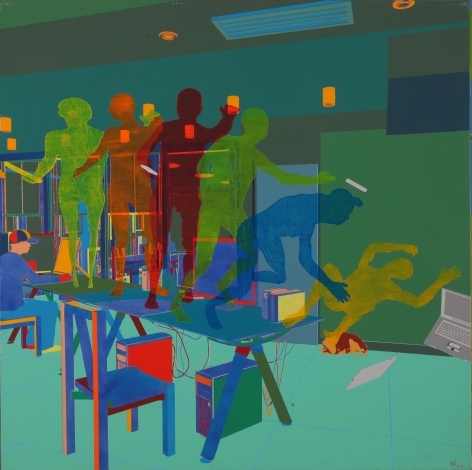 Corresponding to the title of our exhibition, the works collectively present the transformation between motion image and works on canvases, and also explore issues of the real and the virtual, the traditional and the contemporary, and the human and the technological. Miao Xiaochun was born in Wuxi, China in 1964 and now lives and works in Beijing. He studied at the Central Academy of Fine Arts (Beijing, China) and the Kunsthochschule (Kassel, Germany). 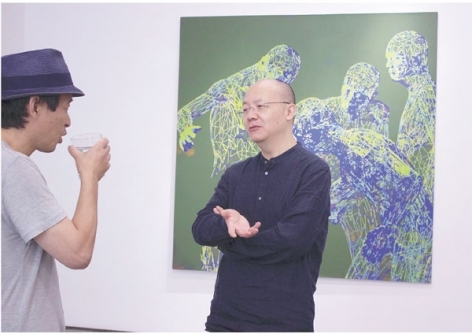 His recent solo exhibitions include, Miao Xiaochun: Save As, White Box Art Center, Beijing, China; Miao Xiaochun 2015, Art Museum of Nanjing University of the Arts, Nanjing, China (2015); Macromania, Ludwig Museum, Koblenz, Germany (2010); and Miao Xiaochun - Two Big Video Works, Today Art Museum, Beijing (2010). 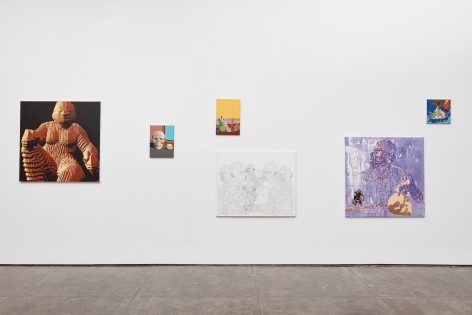 His recent group shows include, Screen Play: Life in an Animated World, Albright-Knox Art Gallery, Buffalo, New York (2015); China 8: Contemporary Art from China on the Rhine and Ruhr, Kunstmuseum Gelsenkirchen, Gelsenkirchen, Germany; NRW Forum, Düsseldorf, Germany (2015); Future Returns: Contemporary Art from China, Eli and Edythe Broad Art Museum, East Lansing, Michigan; and The Encyclopedic Palace, The 55th International Art Exhibition of the Venice Biennale, Pavilion at Arsenale, Venice, Italy (2013). 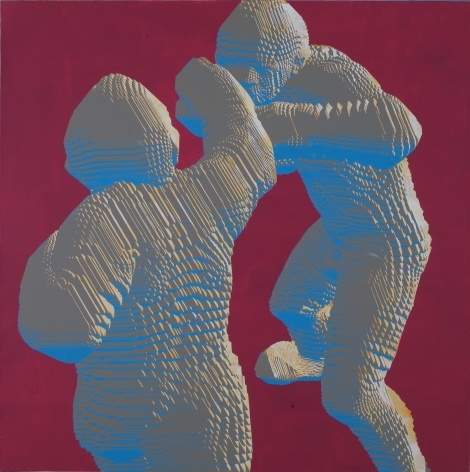 Miao Xiaochun’s work is included in permanent museum collections worldwide, including the M+ Sigg Collection, Hong Kong and Museum of Modern Art, New York, among many others. China Daily explores Miao Xiaochun's unique use of 3D software as a medium. 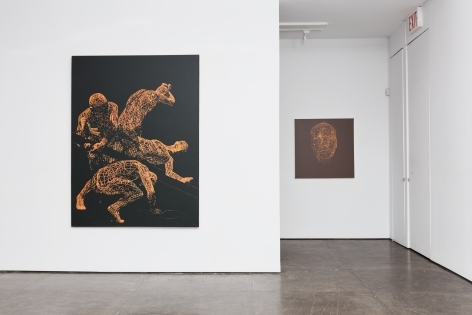 Blouin Art Info examines Miao Xioachun's solo exhibition "Metamorphosis" at Klein Sun Gallery. 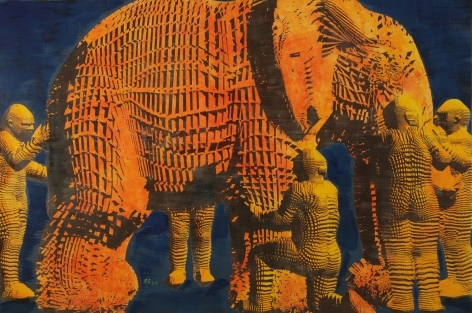 Artsy writes about how Miao Xiaochun modernizes old "masterpieces" from art history. 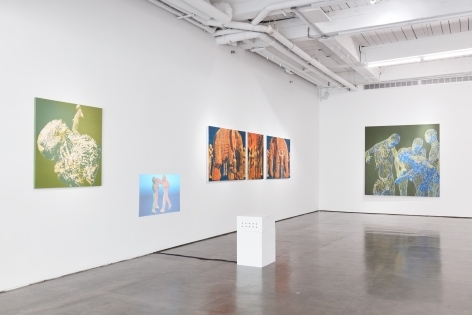 Sinovison does a Q&A with Miao Xiaochun about his solo show "Metamorphosis," at Klein Sun Gallery.